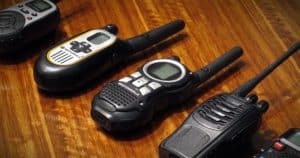 You never know when an emergency is going to strike, which is why survivalists practice Everyday Carry – or EDC. I’m a big fan of EDC kits and versatile multi-tools. However, not everyone wants to carry around lots of extra gear everyday. So, what better way to improve preparedness than making an EDC survival wallet. You’d be surprised how much survival gear you can fit into an EDC wallet. Thanks to all of the new ultra-compact survival multi-tools, you can get the basics – like a knife, firestarter, and can opener – into a wallet without it getting bulky. 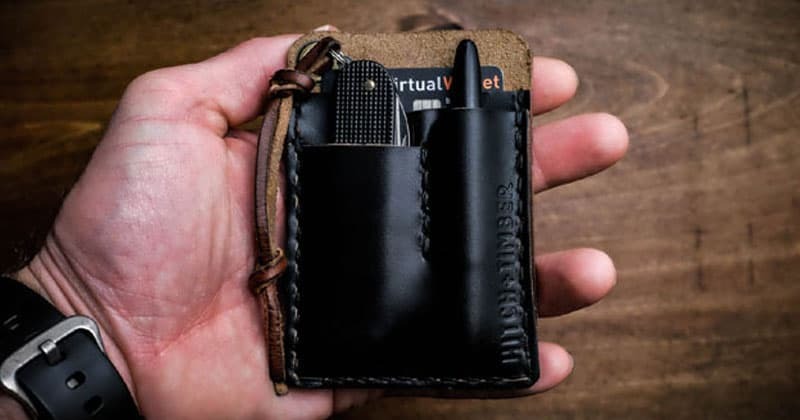 Here’s how to Choose the best EDC Wallet. Finding the right wallet for survival EDC is a tough task. It needs to be sturdy and have lots of room for tools, but not so bulky that it won’t fit in your pocket. Tactical wallets are generally built to hold more gear. It’s a good idea to get a wallet which has a RFID-protecting shell or card holder. If it isn’t, then make sure you are getting an RFID-blocking case for your credit cards. The Trayvax can hold up to 10 credit cards (though just 5 bills) in its plate. It has a built-in bottle opener and in top grade leather. The wallet is also RFID-resistant and has a lifetime warranty. This is my favorite EDC wallet because it has several built-in tools and is well designed. The multi-tool has over 10 functions including a mini knife. It’s RFID blocking and made from genuine leather. Oh, and the entire wallet weighs less than 2 ounces. There are tons of really cheap credit card tools you can buy. Of course, you shouldn’t expect too much from a $4 multi-tool. They are often made out of cheap materials which will bend or crack during even small jobs. That said, there is still a lot you can do with credit card tools. I use the screwdrivers on my credit card survival tool quite often. 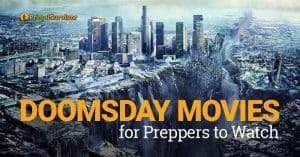 If SHTF, I would also be thankful for the compass and can opener. I’ve picked out some of the better-quality credit card tools to share below. They are still all cheap, but hold up better than others I’ve used. SOG makes a lot of really cool survival gear, including this credit card tool. It’s a bit thick, but has 9 tools which are quite strong, including: a knife, compass, tweezers, toothpick, and can opener. This credit card tool was made with bugging out in mind. It has fish hooks, a saw blade, and arrows. 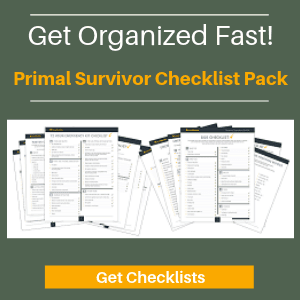 Now, you just have to learn how to actually use those tools in a wilderness survival situation! A knife is one of the most critical survival items that you need to have. If the credit card tool you choose doesn’t have a knife, you’ll want to get one to put in your wallet. Again, credit card tools aren’t meant for doing tough tasks. In a pinch, you might be able to shave some tinder with a wallet knife, but I’d rather have a fixed blade with me. 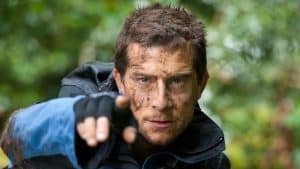 If you are on a budget, you might want to check out these Top 10 Survival Knives for Under $100. Here are two options for wallet knives. Just remember to remove wallet knives before going through security! These cheap folding knives are really trendy now. The design is cool – you just fold down the sides and flip out the knife. I’ve used mine to cut plants a few times and the blade was surprisingly sharp. Another awesome design, the WildCard credit card knife also has a few other tools built into it. I love it for its longer blade and serrated edge. 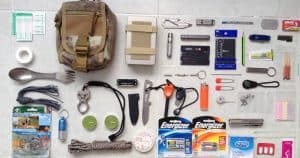 There are a few random survival items that you might want to include in your EDC wallet. You’ve got three options here: lenses, magnesium and flint strikers, or matches. I personally prefer a Ferro rod because it is the most reliable and doesn’t run out. It does take some skill to use them though, so you might want to choose another method. How could you survive TEOTWAWKI without a can opener? This little one fits in your wallet. Pen – See our guide to the best tactical pen. 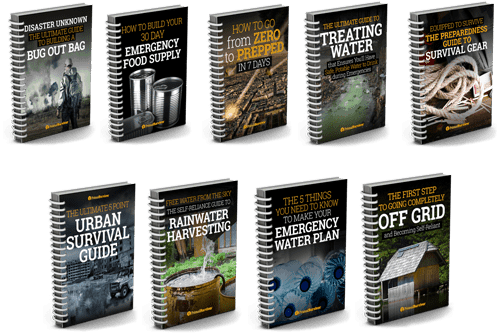 This isn’t something that preppers talk about often, but you should have emergency documents prepped for emergencies. I find the best way to keep these is on a password protected, encrypted flash drive. If all hell breaks loose while you are out of the home, at least you’ll have all of your insurance, medical, ID, and copies of other personal documents handy. Also don’t forget an ICE card and a medical ID! What survival items do you have in your wallet? I enjoy your website but want to keep some of the information I read for reference, could you put a print button so we can get clear copies without the banner blocking out some of the information? Thank you so very much! Hi Mildred – sorry we don’t have a print option at the moment. All you have to do is HIGHLIGHT the parts you want to print, then right click on that highlighted part, then PASTE it into your WORDPROCESSING application. You then print that document. You can also COPY the article to a USB flash drive. Just be sure to copy the wordprocessing document or you will be copying just the LINK to the article which you may not be able to retrieve if you don’t have access to the internet. Lots more EDC articles on the site – use the search bar to pull them up. As a military kid, your can openers featured have names! The small one is a P-38. The bigger one is the P-50. I won several of each, they fit on a keychain nicely with that hole. That’s what it’s for, to secure to things. The blade can draw blood if needed, too. I poked myself once as a kid. Army-Navy Surplus stores and friends who are active duty/reservists or veterans with base privileges are a blessing. The Army has that “woobie” blanket. It’s warm in winter, cool in summer. SO lightweight. Hi Jen – Thanks for the can opener info. The woobie blanket also looks awesome for survival situations. Actually the larger can opener is called the P-51. In my survival/EDC wallet I have a Readyman Survival Card, and Readyman Fishing Card, along with $1.10 in pre 1965 silver coinage which equals one ounce of silver by content (4 quarters, 1 dime.) I also have an P-38, credit card knife, and a Swiss Army Card, along with $120.00 in bills. I added a couple bandaids and two alcohol prep pads. All in all the wallet is no thicker than my regular carry wallet. It’s kept in my GHB in the car just in case. What a great article! I am always looking for a more minimalist approach to preparedness and this right here really fits the bill. Very glad I found this article!